At W3C, we are very pleased to announce a new video on W3DevCampus, the official W3C online training program for Web developers the world over. This video helps, in a fun way, to understand how our online training courses work. During each course, instructors post lectures and hands-on assignments in the online classroom at the beginning of each week. Students have one week to go through the lectures and complete the assignments, which they submit online as well. They are invited to discuss any questions on the lectures and assignments with the instructors and with fellow students using the classroom forum, available 24/7 and from any time zone. After each course, students get a certificate of completion and a badge too. Using Mozilla’s Open Badges infrastructure, W3DevCampus issues badges backed by our own seal of approval. Learners can then collect badges from different W3C courses and display them across the Web — on their resumes, Web sites, social networking profiles such as LinkedIn, job sites and more. Note that the W3C online courses are available in other languages than English! So far, we have Spanish, Korean, and Japanese, and we are finding new regional partners on a regular basis. Stay tuned by subscribing to our news list. Many thanks to Intel® XDK who sponsored the making of this video! 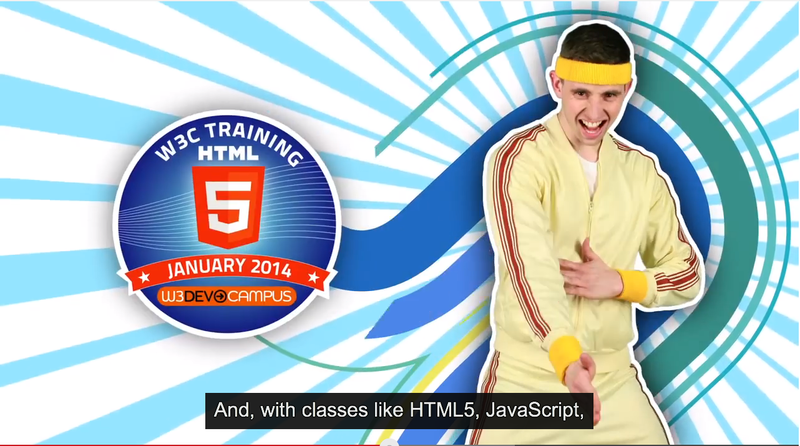 Yup, it’s really an excellent training program by W3C. It’s a good opportunity for the beginners to enhance their technical knowledge in web design and development.